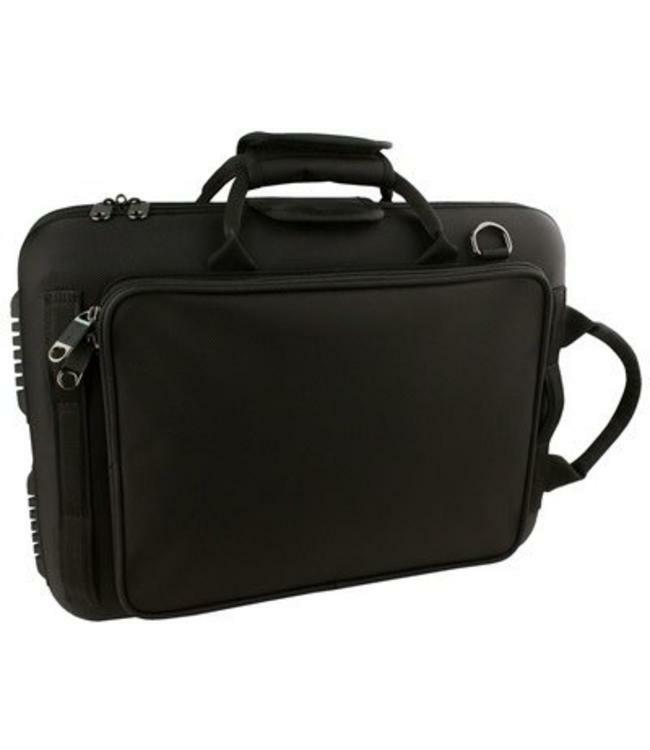 Protec’s Double Clarinet PRO PAC Case (for Bb & A) is extremely slim, compact, and lightweight. The molded interior accommodates 4 barrels and features a handy small accessory compartment. Additional features include a large rear side sheet music pocket, comfortable carrying handle, large front exterior pocket, removable padded shoulder strap, and is backpackable with our optional deluxe backpack strap (model # BPSTRAP). External Dimensions: 16.5 x 11.5 x 4.5"